I told myself this year that I had to get better at asking folks to support the work I do on this website. I added a blurb to the bottom of my newsletter, for example, informing readers that this site is not funded by ads or investors or corporations or philanthropic organizations. Well, I added that blurb, like, twice. And then I forgot. I always remember this time of year, when I’m in the middle of writing the series of stories I publish on the “Top Ed-Tech Trends” (and feeling fairly overwhelmed by the task) that I need to remind people that there are a couple of ways to support my work. 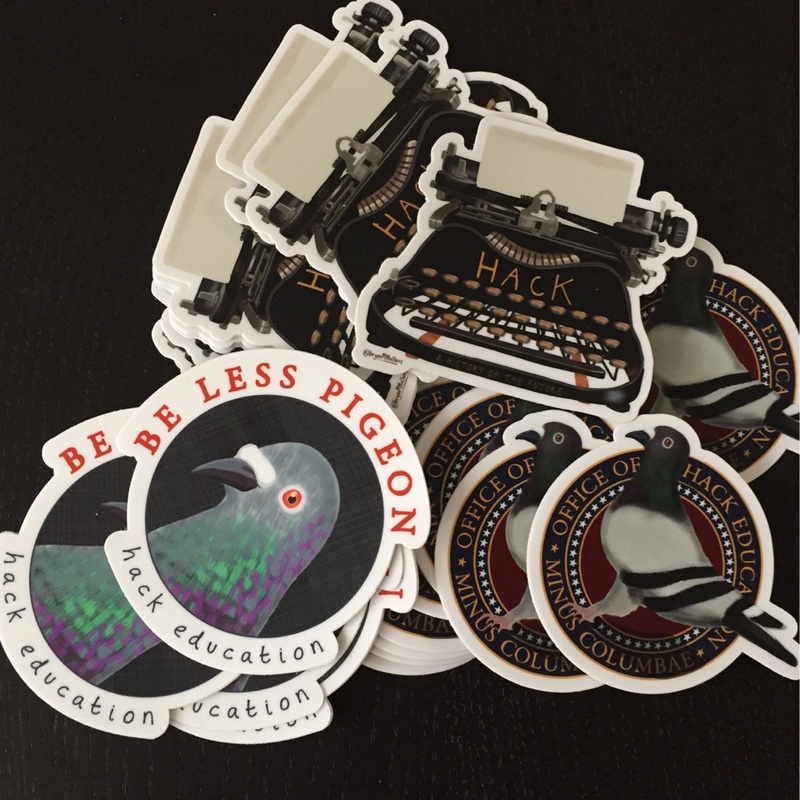 I have Hack Education stickers that I can send you as a gesture of “thanks.” There are also now Hack Education t-shirts (for a very, very limited time). But I don’t want to be in the sticker business. And I don’t want to be in the t-shirt business. I want to write education technology criticism. Your support helps me continue to do just that.